When Gregory wakes up on his first day in Tobago with his grandparents, his heart sinks. 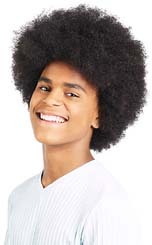 The food is strange, the sun too hot, his cousin Lennox is on another wave length, and there are none of the televisions, video games and other high-tech gadgets that a cool city-boy takes for granted. 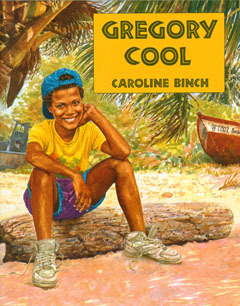 How Gregory adjusts to the strange culture, and learns to enjoy the lifestyle of the Caribbean is enchantingly told and illustrated by award-winning author Caroline Binch. An interesting tale to help children see there are fun things to do on a caribbean island where nature and their imagination are the only things needed. Gregory Cool by Caroline Binch is available to buy now.